Whilst frosty fields, log fires and twinkly Christmas light are all very pretty and lovely, they are not enough to make me love Winter! I have realised this year that I don’t like feeling cold and damp. Whilst Winter holds many pretty scenes, delicious hot chocolates, adventures and Christmas – it is still is not my fave, and I would much rather be somewhere warm and sunny rocking my sandals and sunglasses! 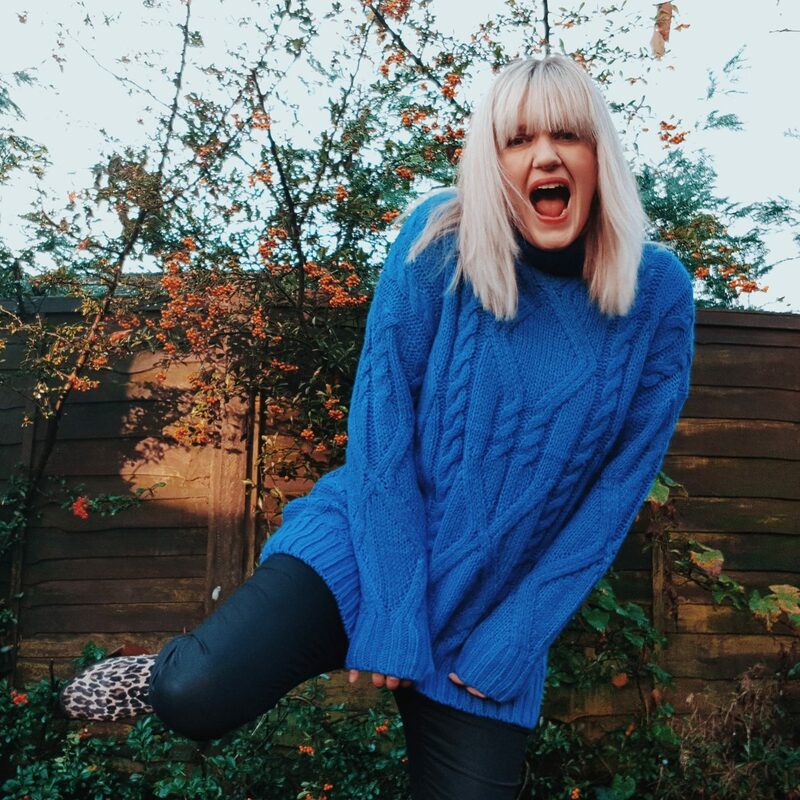 I do however like Winter fashion – the whole ankle boots and knitwear ensemble, with a pair of jeans or trousers (or leggings/skirts) is so easy each day and more often than not, a pure winner! I love wearing my wellies with an nice chunky jumper and feeling all warm and toasty as we head out to school. Yes, I have realised I am not a huge winter fan, but with all of the lovely knitwear around at this time of year, it is enough to sway me out! 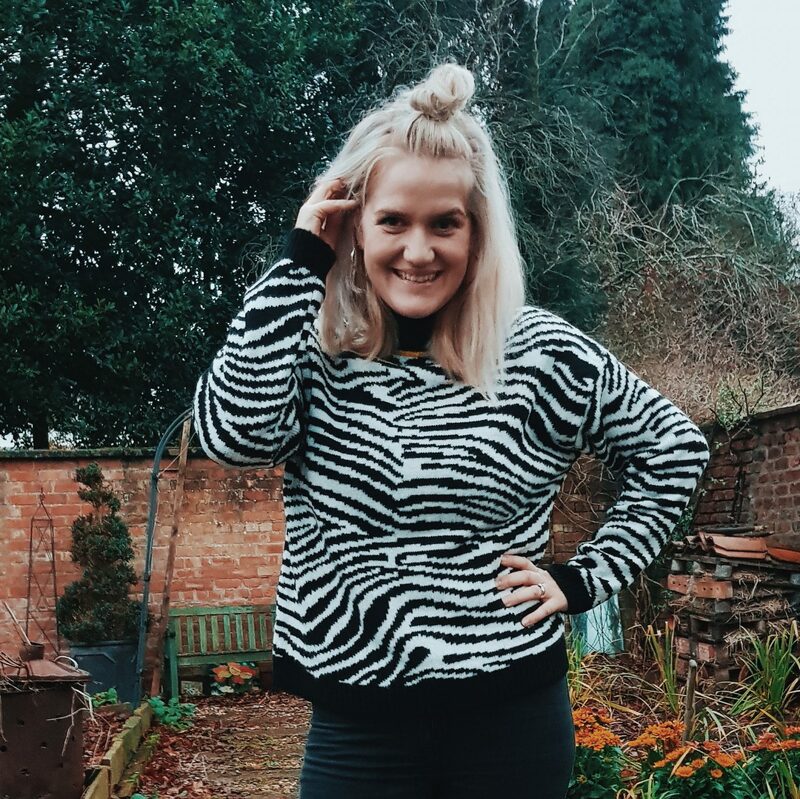 I have several favourite knitwear pieces in my wardrobe right now, and more recently these have grown to include a beaut of a Zebra print one and a cobalt blue roll neck one – both £13 from Primark, and both really lovely gifts from Mr Smith! I really like how “me” they both are and how snug I feel when wearing them. 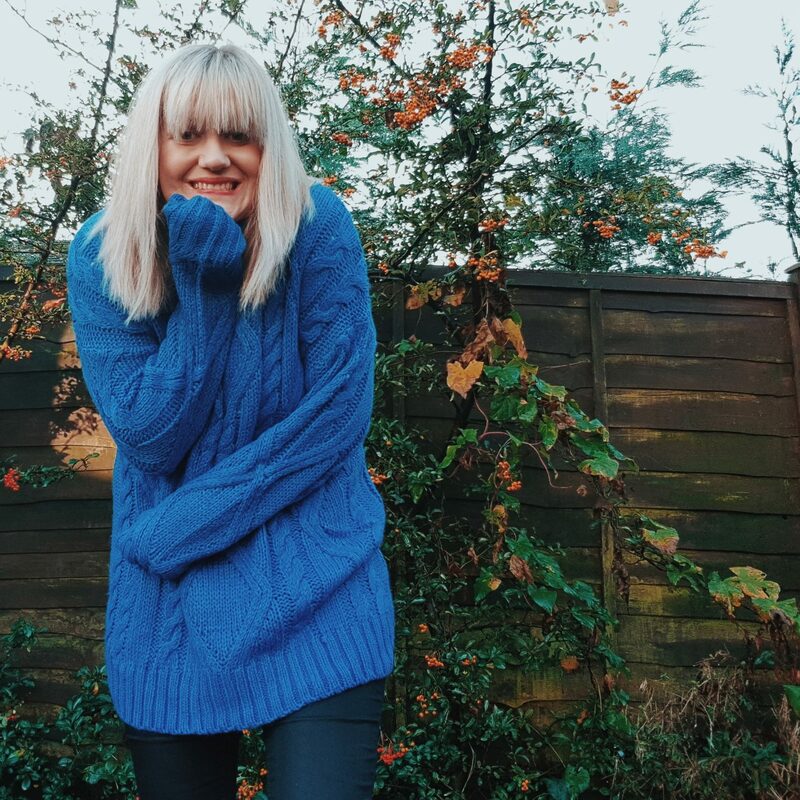 They are an absolute bargain (as are a lot of the stuff in Primark) and I especially love the long sleeves and length of the blue one (which I know they also have in Green and Red – hello Christmas)! I like the fluffiness of the zebra one, the fact it’s zebra, and the discreet yellow trim around the higher neck collar. I found that it was so chilled with black skinny jeans and high top trainers the other day for school runs, college and general mum life! 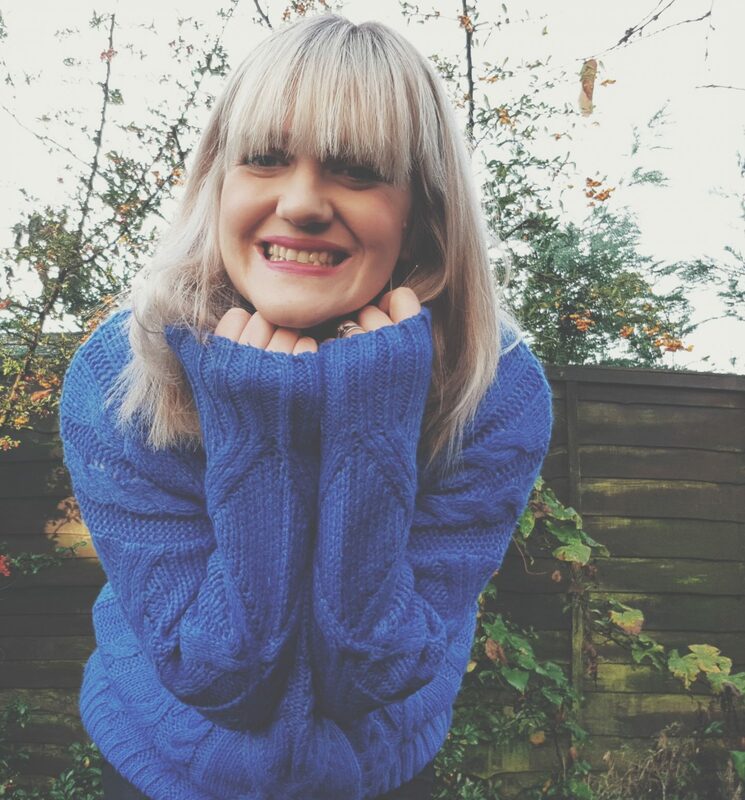 Knitted jumpers are most definitely a winner for me right now! With this new love of knitwear, I have been keen to see what else is out there (you know, to help me survive the winter!) 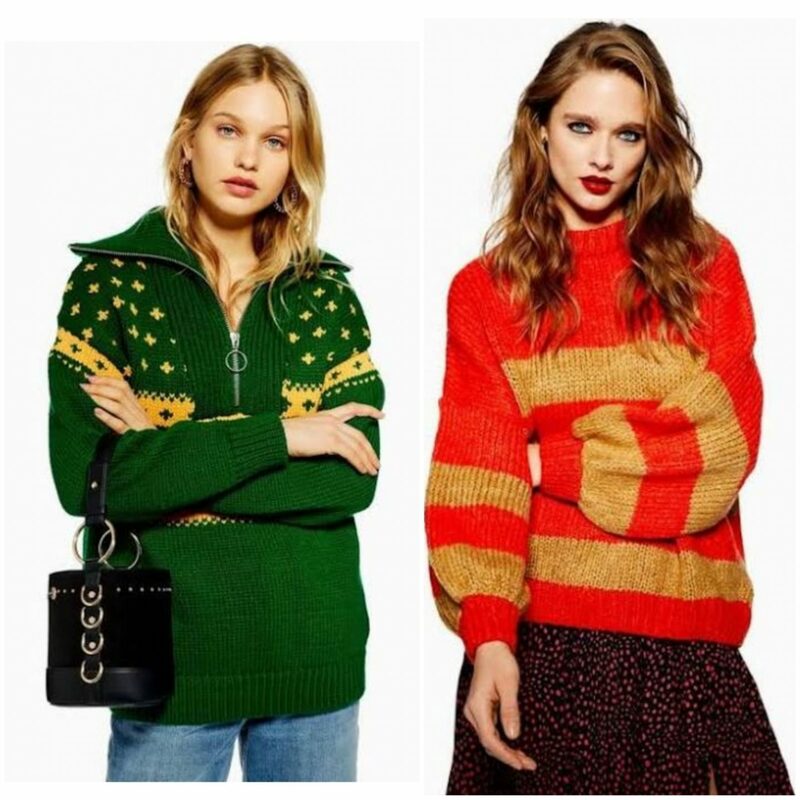 and I have been pleasantly surprised to discover so many lovely jumpers on the market this season that are totally fab and totally me – wild, vibrant, stylish and chill! I just wanted to share them with you, either as inspo for this season, or generally just to appreciate how lovely they all are! Next up – ASOS! 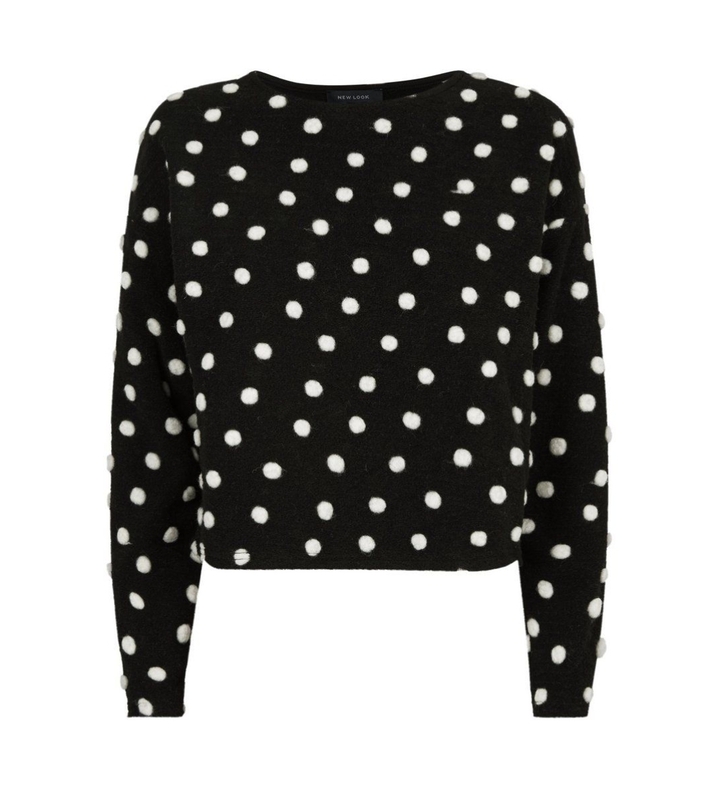 Asos have so many fantastic jumpers, it was like being a kid in a candy shop scrolling through their site. 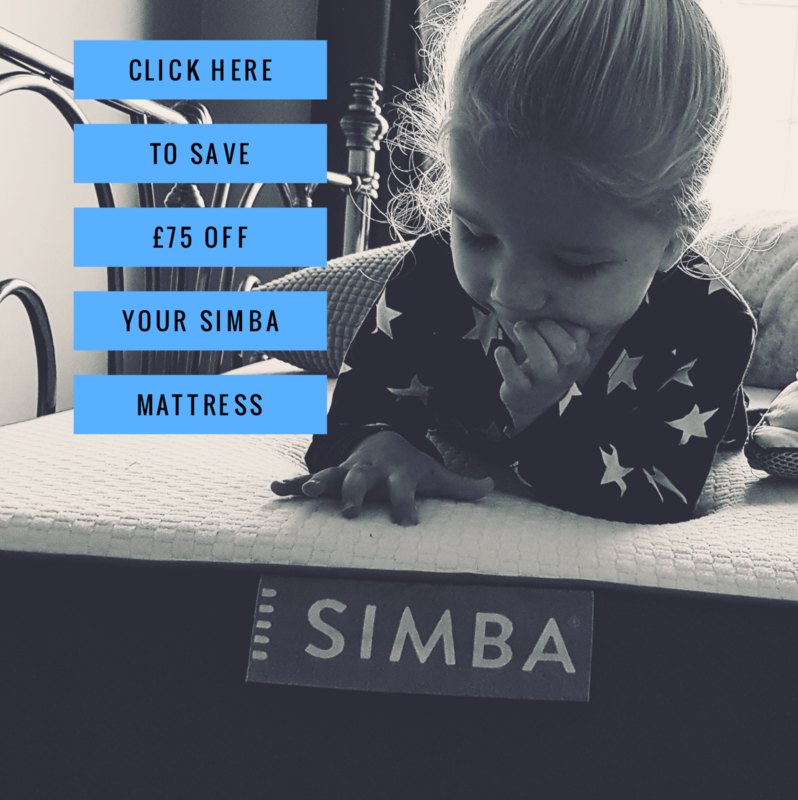 I also love that most of them are under £25/£30 too, so very affordable! I managed to narrow it down though to these 2 beauts for my wish list. 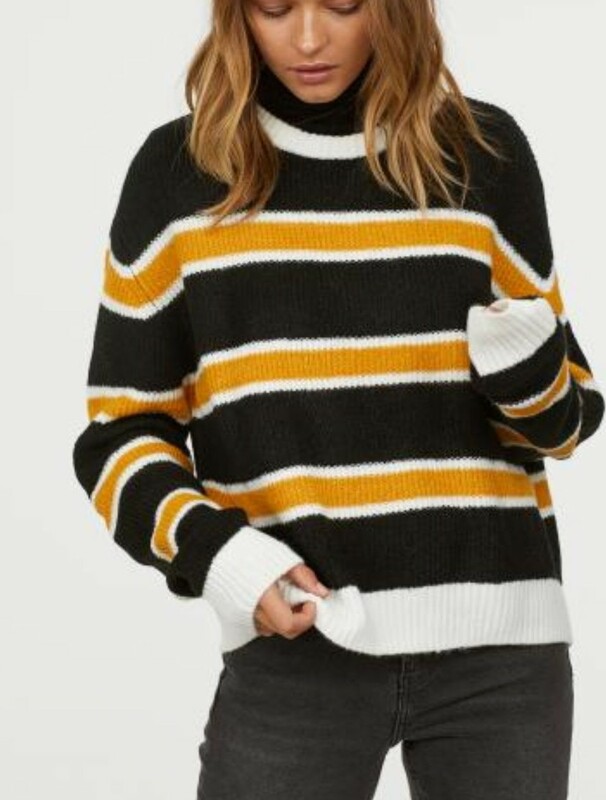 The black and yellow one is quirky and cool | I also really love this rainbow oversized one which is only £25 – who doesn’t want to be rocking that on a dark, damp, wintery day!? And then finally ZARA! Zara have some great slogan sweatshirts I have my eye on at the moment, but knitwear wise… this embellished number that is somewhat out of my price range is so gorgeous! Its limited edition and £49.99. I really love it! 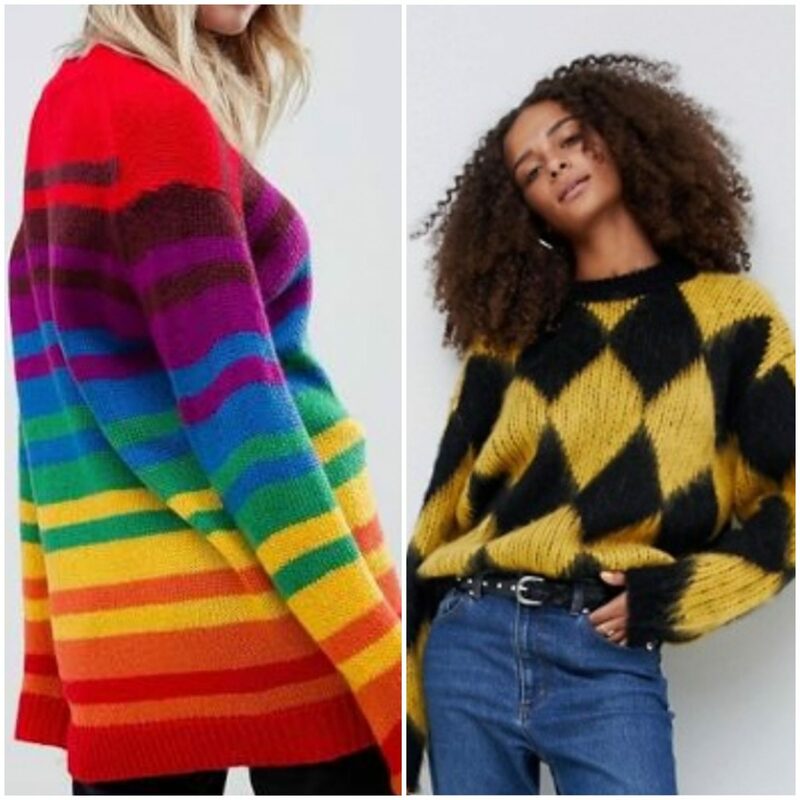 I didn’t even look at BooHoo or Shein – both of which I know will probably have more wonderful and bargainous knitwear pieces, but for now I am loving colourful and patterned knits to help me survive theses freezing damp days! Previous Post #MyHeartyLife | #40 – Our Approach to Christmas, Starting the Christmas Shopping & Pig Bingo! !